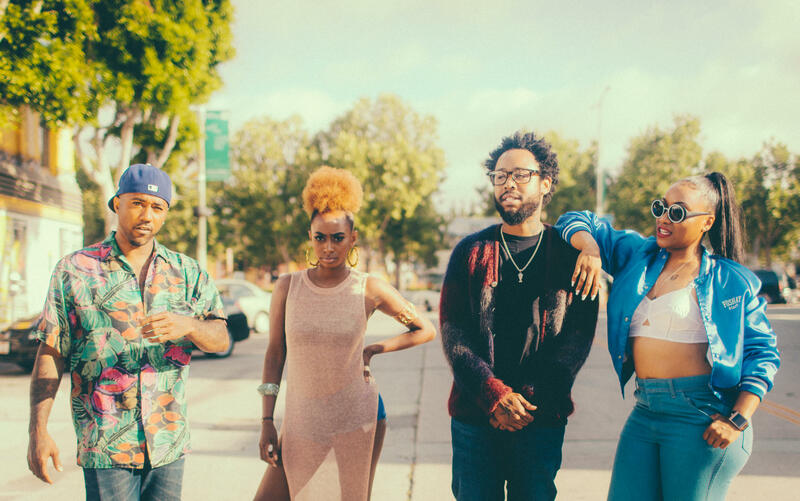 The Pollyseeds: Chachi, Rose Gold, Terrace Martin, Wyann Vaughn. One saxophonist is in his 30s, and recently hit full stride. Another one is 90, still very much in the game. Both players — Terrace Martin is the former, Jimmy Heath the latter — can be found in Take Five this week, with music that belongs to an African-American continuum irrespective of genre or style. And those are just the bookends. The present moment is ripe with possibilities for Terrace Martin, an alto saxophonist, songwriter and producer best known for his work with the visionary rapper Kendrick Lamar. Last year Martin broke in his Sounds of Crenshaw label with a groove-minded solo album called Velvet Portraits. This Friday he’ll release The Sounds of Crenshaw Vol. 1, the debut of a Los Angeles R&B collective he calls The Pollyseeds. Tone color has always been a central concern for Steps Ahead, the fusionesque ensemble led by vibraphonist Mike Mainieri since 1979. Steppin’ Out, due out on Sunnyside on Friday, amplifies that idea by expanding the palette: it’s a collaboration between Steps Ahead and the WDR Big Band Cologne, under the direction of Michael Abene. Hear the orchestral sweep in his arrangement of “Pools,” which first appeared on Steps Ahead’s self-titled 1983 album. “Pools,” composed by Don Grolnick, inhabits a floating pulse, which the band’s current rhythm section handles with aplomb. Mainieri takes the first strong solo, guitarist Chuck Loeb takes the next, and Bill Evans closes shop with an urgent tenor saxophone dispatch, against a curtain of bleating horns. If you’re familiar with pianist Simona Premazzi, you probably know her by her associations, notably with saxophonist Greg Osby and trumpeter Jeremy Pelt. But Premazzi — who was born near Milan, Italy, and moved to New York City in 2004 — has also been building a strong foundation as a composer and leader. Her new album, Outspoken, was produced by Pelt (who also makes a cameo) — but it’s a clear showcase for her music, as played by a fine quartet with Dayna Stephens on tenor and soprano saxophones, Joe Martin on bass and Nasheet Waits on drums. “Up on A. Hill” pays homage to Andrew Hill, one of Premazzi’s touchstones as both a pianist and a composer. The composition has a marchlike, annunciatory quality that the band softens through dialogue: Stephens finds a strong lane for his maneuvers, and Waits, who played extensively with Hill, stamps the whole enterprise with a pliable rhythmic authority. 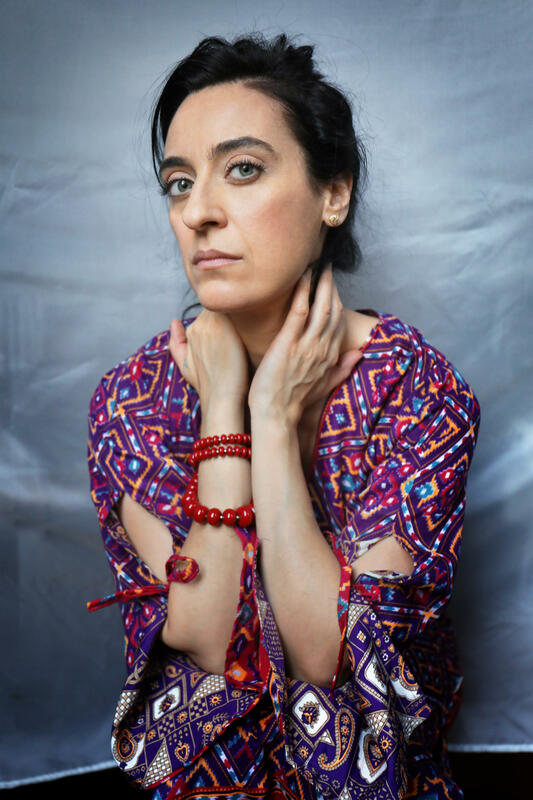 Premazzi plays this music (with different partners) at Smalls on Wednesday at 7:30 p.m., and at Smoke on Friday and Saturday at 11:45 p.m.
An Israeli guitarist active on the New York scene, Rotem Sivan has a pealing, silvery tone and a penchant for flowing lyricism. He has made a series of worthy albums with his trio, the fourth of which, Antidote, appears this week. It opens with a tune called “Shahar,” a buoyant proposition: bassist Haggai Cohen Milo strikes up a rubbery ostinato, which Sivan tags with chordal embroidery. The guitar solo begins in cool restraint and lingers there a while, before gradually working up to an onrush of notes. (Colin Stranahan, who uses brushes throughout the track, does a fine job of keeping the groove strong but light.) The brisk intrigue makes for a good overture: it invites a listener to settle in for the full ride. Have you been taking The Heath Brothers for granted? It’s easy to do, given how long the band has persevered, and how steadily it has tended the flame — not for nothing was the most recent Heath Brothers album titled Endurance. Here is a track from that album: a quartet version of “Two Tees,” which saxophonist Jimmy Heath first featured on his auspicious debut, The Thumper, in 1959. As on the original recording, Tootie Heath smoothly negotiates the stop-and-start cadence in the piece, without losing the pull of his swing beat. Pianist Jeb Patton and bassist David Wong round out the group, which will be at the Village Vanguard this week. And looking a bit further ahead: Jimmy Heath will join Benny Golson — his fellow saxophonist, composer and NEA Jazz Master — in concert on July 19 at the 92nd Street Y, in a WBGO Member Event presented in conjunction with Jazz in July.